amfAR, The Foundation for AIDS Research, will hold its annual New York Gala on Wednesday, February 11, 2015. 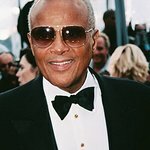 The Foundation will honor legendary activist and revered entertainer, Harry Belafonte; amfAR supporter and actor, Rosario Dawson; and photographer Patrick Demarchelier, for their exceptional contributions to the global struggle against HIV/AIDS. The black-tie benefit will be held at Cipriani Wall Street, and will feature a special performance by Dame Shirley Bassey. Harry Winston, Inc. will generously serve as the event’s presenting sponsor as part of a new and unprecedented multi-event partnership with amfAR. Harry Belafonte has supported amfAR and other AIDS causes for many years and has been a dedicated amfAR Trustee for the past decade. Rosario Dawson, a shining example of a celebrity who gives back to the community, is a longtime supporter of numerous charitable causes, including amfAR. And celebrated photographer Patrick Demarchelier has made many generous contributions to amfAR through the years and has been one of the leaders of the fashion community’s robust response to the AIDS crisis. The event’s signature sponsors include Moët Hennessy, M•A•C Viva Glam and Mandarin Oriental, New York. The New York Gala, now in its 17th year, will kick off Fashion Week with a black-tie gala dinner, live auction, honoree tributes, and a performance by the legendary Dame Shirley Bassey, who will be making her first ever Fashion Week performance. Chairs of the event include Alessandra Ambrosio, Donald A. Capoccia and Tommie Pegues, Chelsea Clinton, Andy Cohen, Kenneth Cole, John Demsey, Jamie Foxx, Anne Fulenwider, Nina Garcia, Toni Garrn, Milutin Gatsby, Whoopi Goldberg, Nayla Hayek, Donna Karan, Karlie Kloss, Michael Kors, Mathilde Krim, Ph.D., David and Lauren Bush Lauren, John Legend, Cindi Leive, Terry Lundgren, Julianna Margulies, Jeremy Piven, Howard and Cindy Rachofsky, Vincent Roberti, Bill Roedy, and Stefano Tonchi. Vice chairs of the event include Arlen and Michele Andelson, Maria Bogdanova, Ronnie M. E. Budja, Jonathan Canno and Pierce Canno Roberts, Steven Kolb, and Stephanie and John Roberts. The amfAR New York Gala is one of New York City’s most successful and high-profile AIDS benefits. Previous honorees include President Bill Clinton, Dame Elizabeth Taylor, Vanessa Redgrave, Roberto Cavalli, Kenneth Cole, Diane von Furstenberg, Yves Carcelle, Sir Elton John and David Furnish, Clive Davis, Peter Dolan/Bristol-Myers Squibb, Richard Gere, Whoopi Goldberg, Tom Hanks, Janet Jackson, Quincy Jones, Donna Karan, Heidi Klum, Patti LaBelle, Peter Lindberg, Lorne Michaels, Liza Minnelli, Rosie O'Donnell, Howard and Cindy Rachofsky, Vanessa Redgrave, Joely Richardson, Sumner Redstone/Viacom, Natasha Richardson, Bill Roedy/MTV Networks, Carine Roitfeld, Caroline Scheufele, Julian Schnabel, Bobby Shriver, Sharon Stone, Barbara Walters, Robin Williams, and Anna Wintour. Delta Air Lines is the official airline of amfAR. Moët Hennessy is the official wine and spirits partner of amfAR. The amfAR New York Gala is produced by Andrew Boose/AAB Productions.